If you want to get that top 40-mpg highway rating, you'll need to spring for the Super Fuel Economy (SFE) package, which is only offered with the PowerShift automatic. With the 2012 Focus, Ford shows that small cars don't have to feel so banal, with charismatic compacts that are more satisfying to drive, more luxurious, and better-equipped. In a sea of sensibly-sized and relatively fuel-efficient—yet all rather humdrum—small cars, the 2012 Ford Focus has just a little more personality. That's what Ford would like us to think with its new Focus, yet here it's true. The new Focus not only looks more flamboyant and sophisticated inside and out; it's also a more engaging drive than most other on-a-budget small sedans, and it offers some features that haven't up until now been offered in this class. There's no longer a Focus Coupe, but there are two beautiful body styles—a four-door sedan or five-door hatchback—from which to choose. Both models have some nice creases and curves; and thankfully, Ford's saccharine chrome louvered grille, from several of its larger vehicles, hasn't been carried over here. Inside, the design is pleasingly complex—incorporating a cockpit-like instrument panel arrangement, with a thick center stack, some nice surface sculpting, and vertically-oriented vents. An all-new 2.0-liter direct-injected four-cylinder engine powers the entire Focus lineup for 2012. It makes 160 horsepower and 146 pound-feet of torque and comes paired with either a five-speed manual gearbox or six-speed PowerShift dual-clutch automatic. You have to rev the engine to access its perky side, but the dual-clutch gearbox does a great job keeping the revs high and uninterrupted when you need it; there's also a Sport mode, or you can control shifts yourself with a little +/- button on the side of the shift knob instead of paddle-shifters or a separate gate. While the powertrain requires a little diligence, the ride-and-handling compromises are about the best it gets. 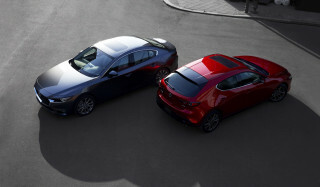 The Focus handles as well as—or better than—the most deft handler in the class, the Mazda3, with a suspension that doesn't crash and bang over rough transitions. Ford's electric power steering system provides nice weighting and it performs well, providing precise control but not transmitting much feel of the road. The Focus's inherent sportiness extends to its interior, which feels, in top Titanium trim (with upgraded sport seats), more like that of a smart European sport-sedan cabin than a low-priced small car. The base seats in the 2012 Ford Focus are quite good, with better support than those of most other affordable small cars. And whether you choose the sedan or hatchback, you get back seat accommodations that are virtually the same, with just enough legroom and headroom to fit even those over six feet. With the leather upholstery, there's no skimping on look and feel in back; you won't get mid-size comfort, but there's enough comfort back there for most six-footers. Ford is giving shoppers a choice as to whether they want a basic small car or a much more sophisticated one with all the features and options of a larger one. Prices on the Focus range from $16,995, including destination, for the base 2011 Ford Focus S, up to about $27k for a loaded Titanium. At the top of the line, the Titanium earns you MyFord Touch, an upgraded ten-speaker Sony sound system, HD Radio and Sirius Satellite Radio, sport seats, a sport suspension, and sport wheels with summer performance tires. A number of the Titanium's features—including the Sport package—are optional on the SEL. One other segment-exclusive feature that will be available in the Titanium is Active Park Assist—that's the system Ford has offered on several more expensive models that essentially allows the car to steer itself into a spot while you modulate the brake. In a city-savvy small car like the Focus—rather than one that's more likely to be valet-parked—it finally makes sense. 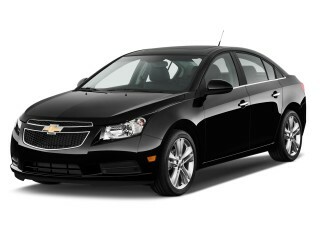 The 2012 Ford Focus doesn’t look like the rest of the compact-car field, and that's a very good thing. There's no longer a Focus Coupe, but there are two beautiful body styles—a four-door sedan or five-door hatchback—from which to choose. 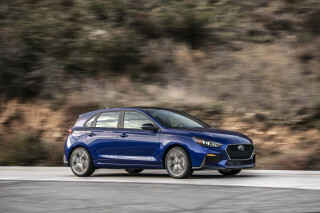 Both body styles are rakish and sleek, and while the profile of the Focus sedan is uncommon (and remarkably close to that of the recently introduced Chevrolet Cruze, as well as the Elantra), the distinction is in the details. Both models have Ford's kinetic design attributes, with the rising beltline that's become par, but accented here with some nice creases and curves—including a subtle curve that runs from the headlights all the way to the taillights, just below the beltline, and a sharper crease that starts after the front wheelwell and runs through the door handles. Taillamps are huge and form much of the rear corners on both vehicles. Thankfully, Ford's saccharine chrome louvered grille, from several of its larger vehicles, and which we never warmed up to, hasn't been carried over here. Inside, the design is complex—incorporating a cockpit-like instrument panel arrangement, with a thick center stack, some nice surface sculpting, and vertically-oriented vents. Trims and finishes look classy and inviting, and there's a nicely tailored look to the entire interior that extends to door trim and even seats. The turquoise-colored gauge pointers are a nice touch. The 2012 Ford Focus is merely average in straight-line performance, but it feels surprisingly athletic, with exceptional poise. While turbocharged EcoBoost power is on the way next year, the Focus lineup includes a single engine now, an all-new 2.0-liter direct-injected four-cylinder making 160 horsepower and 146 pound-feet of torque, and paired with either a five-speed manual gearbox or six-speed PowerShift dual-clutch automatic. The new engine has Ti-VCT variable valve timing, though you have to rev it to tap into its perky side. But Ford has done a good job in making the Focus feel light-footed off the line, with low first-gear ratios in either gearbox, and the dual-clutch gearbox does a great job keeping the revs high and uninterrupted. Take off, foot to the floor, and the Focus feels quick. If you want to do the shifting yourself, you have to make do with a little +/- button on the side of the shift knob instead of paddle-shifters or a separate gate. Fortunately, the PowerShift transmission does come with a Sport ('S') mode, just below Drive, which smartly holds revs for grades and corners, holds upshifts significantly longer, and downshifts a gear with the slightest tap of the brake pedal. The other option for shifting yourself is the five-speed manual gearbox—which is only offered on S and SE, not SEL or Titanium. The linkage is sweet, if a bit long, and the clutch feel more soft than sporty. While the powertrain requires a little diligence, the ride-and-handling compromises are about the best it gets. 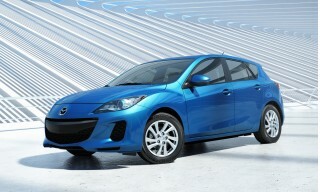 The Focus handles as well as—or better than—the most deft handler in the class, the Mazda3, with a suspension that doesn't crash and bang over rough transitions, nor punishes over heaves or potholes. Ford's electric power steering system provides nice weighting and it performs well, providing precise control but not transmitting much feel of the road. The electric steering system is awesome in transitions, too, never binding up or feeling off its game. While the suspension allows a bit of give, it loads and unloads in the most transparent, predictable way possible, yet isolates you from harshness. And on the subject of brakes, there's nothing to complain about; S and SE models come with rear-drums instead of discs (in the name of cost-cutting), but pedal feel and stopping power felt about the same at legal speeds. 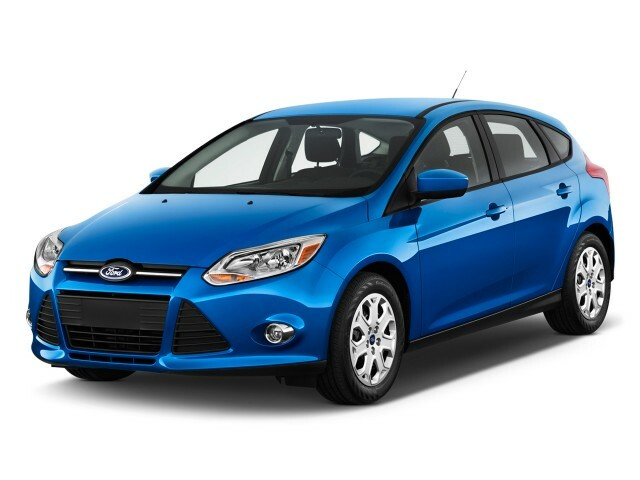 Sporty yet comfortable accommodations, and the refinement of a more expensive vehicle, make the 2012 Ford Focus a standout. The base seats in the 2012 Ford Focus are quite good, with better support than those of most other affordable small cars. And whether you choose the sedan or hatchback, you get back seat accommodations that are virtually the same, with just enough legroom and headroom to fit even those over six feet. With the leather upholstery, there's no skimping in back; throughout they're trimmed like those of a high-end German luxury car, with exposed stitching and true bolstering for outboard occupants. You won't get mid-size comfort, but there's enough comfort back there for most six-footers. Titanium models with the Sport package get upgraded front seats with slightly deeper bolstering, and it results in a glovelike, extremely comfortable feel. The moderately bolstered seats are snug enough to keep you from sliding around from all the grip that the excellent Michelin Pilot Sport SP3 summer performance tires could provide. Cargo holds in the hatch and sedan are both ample with large openings, but seat-folding is a little disappointing. For one, you can't release the back seats remotely, as you can in some other vehicles; the other thing is that the back seats don't fold completely flat, and unless the front seats are slid far forward, the headrests get in the way. The 2012 Focus is about average for the class with respect to road noise, while its engine isn't as boomy and raucous as most in this class when revved high. On boulevards and freeways, the ride is on the firm side compared to other compacts like the Cruze, Elantra, and Corolla, but not so much to be punishing. And while at the time of posting we hadn't yet sampled production vehicles, the pre-production models we tested had a sense of solidity and hefty build quality that far surpasses that of the previous model, even if it isn't that much heavier. Doors close with a nice, satisfying thunk, and door grabs, trim, and center console all seem solidly attached. A stout new global structure and full set of safety equipment provides excellent occupant protection. The 2012 Ford Focus was developed as a world car—and to get top crash-test results in each market. 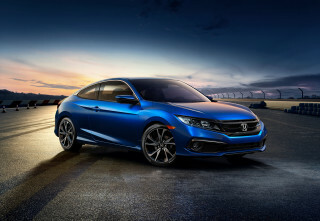 And while it missed a perfect five-star rating in federal NCAP tests (it gets a mix of four- and five-star ratings), it did achieve top scores all around from the Insurance Institute for Highway Safety (IIHS), as well as the group's Top Safety Pick status. All the expected safety features are here, including front, side, and Safety Canopy curtain bags, plus standard electronic stability control and anti-lock braking. Additionally, a torque vectoring control system helps provide balanced power delivery coming out of corners. Despite the somewhat curvier sheetmetal, compared to some other compact models, the 2012 Focus has quite impressive outward visibility; but for those who want it, a rear-view camera is available on upper trims. 'Small car' doesn't necessarily mean 'economy car' anymore; at the top of the line, the Focus Titanium feels like a tech-savvy Euro sport sedan. Ford is giving shoppers a choice as to whether they want a basic small car or a much more sophisticated one with all the features and options of a larger one. Prices on the Focus range from $16,995, including destination, for the base Focus S, up to about $27k for a loaded Titanium. 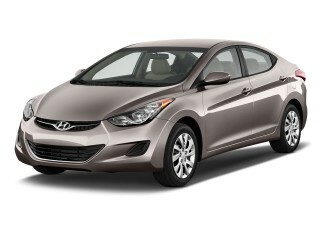 S models are quite basic, but they do include air conditioning, CD sound, and a tilt/telescopic steering wheel. SE models add cruise control, larger wheels, fog lamps, and Ford's MyKey system, while SEL trims get SYNC, dual-zone climate control, and upgraded trims. At the top of the line, the Titanium earns you MyFord Touch, an upgraded ten-speaker Sony sound system, HD Radio and Sirius Satellite Radio, sport seats, a sport suspension, and sport wheels with summer performance tires. A number of the Titanium's features—including the Sport package—are optional on the SEL. Depending on which trim you get, the Focus has two quite different instrument panels. While MyFord Touch—the touch-screen system that's offered in the 2011 Ford Explorer and Edge and 2011 Lincoln MKX—is standard on the Focus Titanium and optional on the SEL, giving the Focus a high-end, feature-rich feel, other models get a modestly retouched version of the Fiesta's control layout—including the oddly angled, V-shaped arrangement. Top and center on those models, instead, is a more colorful, higher-contrast screen that definitely beats the orange monochrome Fiesta screen. MyFord touch provides control of entertainment, communication, climate functions, and more, and in these models, in place of the two smaller gauge-cluster screens that you find in the Edge, Explorer, and MKX, the Focus gets a single smaller one. Just below the touch-screen, deceptively, is a very large dial in the middle of the dash that you might would serve some function in navigating screen functions, but it's only for sound-system volume. One segment-exclusive feature that will be available in the Titanium is Active Park Assist—that's the system Ford has offered on several more expensive models that essentially allows the car to steer itself into a spot while you modulate the brake. In a city-savvy small car like the Focus—rather than one that's more likely to be valet-parked—it finally makes sense. The 2012 Ford Focus is very good on gas, though it’s not quite the greenest choice in this class. Thanks to its new direct-injection engine, along with a new six-speed PowerShift automatic transmission, improved aerodynamics, and a host of other advancements, the 2012 Ford Focus is more fuel-efficient than the model it replaces—even though it's heavier and packs more luxury and tech features. Estimates with the manual gearbox are expected at 26/36, and 28/38 for most of the Focus line with the six-speed PowerShift automatic. When optioned with the Super Fuel Economy (SFE) package—which is only offered with the automatic transmission—its ratings go up to 28 mpg city, 40 highway. That's impressive, but certainly not best-in-class. All 2011 Hyundai Elantra models achieve 29 mpg city, 40 highway, and the special Eco version of the 2011 Chevy Cruze gets 42 mpg highway. 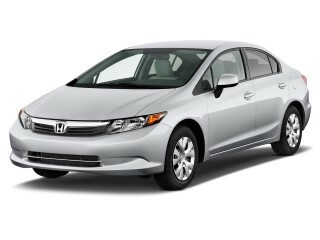 But the standard Focus models do as good or better than the Toyota Corolla or Honda Civic. Continuous problems with its infamous new automatic transmission. Will never by another FORD again. Impressive, good looking and well-built but occasionally flawed small car. I chose the Focus Titanium hatch to replace the Ford G6E Turbo I had previously. This was my first front-driven Ford and its good looks, style, quality and well above average dynamics drew me to the Focus. Had... I chose the Focus Titanium hatch to replace the Ford G6E Turbo I had previously. This was my first front-driven Ford and its good looks, style, quality and well above average dynamics drew me to the Focus. 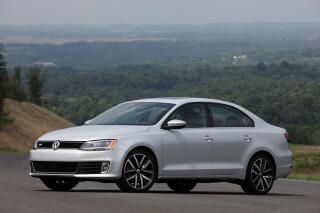 Had looked at a Golf but the Ford's lower price and better dynamics clinched the deal. The amount of standard kit is impressive and I never thought its active park assist would prove so useful, especially in times when there was no apparent parking available and the system enabled the car into a spot so tight that without it, I would have driven past. The Titanium had 18-inch wheels as standard and here lies the area of some discontent. The ride is firm, sometimes firmer than ideal and the turning circle is appalling, no doubt because of the large and wide tyres. I have driven other models on the smaller 17-inch wheels with a more composed ride and tighter turning circle. The plus is the handling is brilliant! The electric steering is a little light at low speeds but while not as communicative as a good hydraulic system, manages to impart some 'feel'. It is accurate and quick in response. There's hardly any body roll on twisty bits and it steers with complete accuracy. It is a joy to drive when confronted with roads that twist, bend and snake through the country. Interior comfort is good with excellent front seats that support well but I would have liked more under-thigh support. The dash is a bit of a mess with too many buttons to navigate although everything becomes less confusing with familiarity. The early 'Sync' voice control can fumble on occasion and the car's GPS system sometimes needs greater understanding which, surprisingly, is not well covered in the driver's handbook. The boot (trunk) has a useful flat floor but is too small, able to take one large suitcase and some soft bags. Overall, the Focus has proved a reliable, inexpensive vehicle to own, fuel consumption is good (8.5 L/100 km urban cycle, 6.3 L/100 km on long distance) with its tyres replaced at 44,000 km and the front disc pads at 47,000 km. Service costs have been reasonable and the Ford promise of a free loan car at every scheduled service has been very convenient. Best car I have ever owned period!